2015 came with a super bonanza for all Telugu film lovers. ‘Bhaje Bhaje’ the next festival anthem song from the victory Venkatesh, power star Pawan Kalyan starrer ‘Gopala Gopala’ was released all over. Composed by Anup Rubens and written by the inimitable Ananth Sriram, ‘Bhaje Bhaje’ has caught on supremely well with the audience and has raised the expectations for the film. Sung by Haricharan, this number has all the ingredients to make it to the No. 1 spot on all the music charts for years to come. 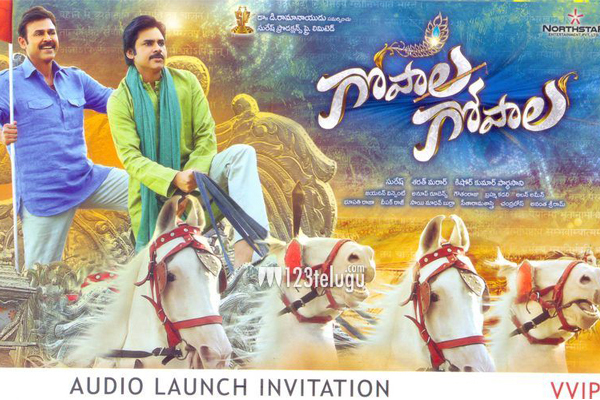 Featuring several hundred dancers, ‘Bhaje Bhaje’ will showcase Pawan Kalyan in one of his most spirited dancing songs. PK had also called up Anup Rubens last week and complimented him saying how much he loved the song and thoroughly enjoyed dancing to it.